"Very nice guy-Mark Professional service..."
This gardening calendars provide you with a list of all the important tasks, maintenance and projects that should be done in your garden during each given month. 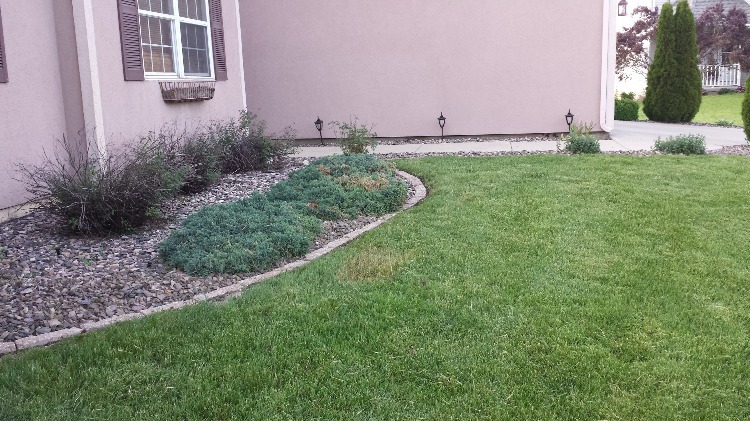 AMS Lawn and Landscapes can help you with any of these tasks. Give us a call at 608-807-3320 or Contact Usto set up a time to meet and discuss your lawn care needs. - Begin light pruning on trees and shrubs by removing waterspouts and dead or crossing branches. - Protect shallow-rooted perennials, such as mums, coral bells, Shasta daisy, and crocus, from the freeze-thaw cycles of winter by covering plants with evergreen boughs from leftover holiday greens. - Apply winter mulch to base of roses once ground begins to freeze. - Clean, sharpen, and repair all garden tools before storing. 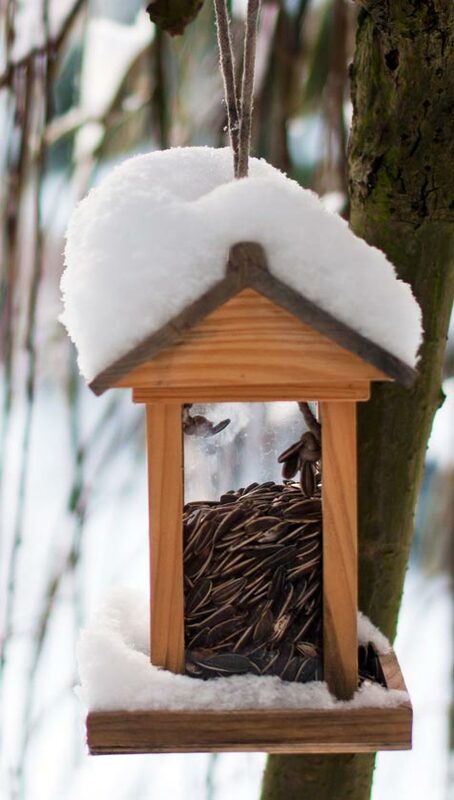 - Protect multi-stemmed evergreens, such as upright arborvitae, junipers, and yews, from heavy snow or ice damage during a winter storm by tying trunks together with old nylons or cotton twine. - Gently shake or brush off heavy snow that accumulates on shrubs and small trees before it freezes. - Don't forget to feed the birds. - Check young trees and shrubs for deer, rabbit, and rodent damage. - Keep road and sidewalk salt away from plants. - Uncover plants weighted down with heavy snow. - Prune dead, diseased, crossing or rubbing branches anytime. - It is still too early to remove mulches, screening, and other winter plant protections. Make sure they are still in place. - Prune trees and shrubs. - Wait to prune birch, elm, maple, and walnut trees until late fall. - Re-apply anti-desiccants to evergreens. - Check the summer bulbs that are stored in a cool, dry place. - Order seeds and garden plants. - Remember to feed the birds. - Wait until new growth is established before removing winter protection. - Begin general clean up. - Check for winter snow and salt damage and prune. - Cut ornamental grasses back to a few inches before new growth begins. 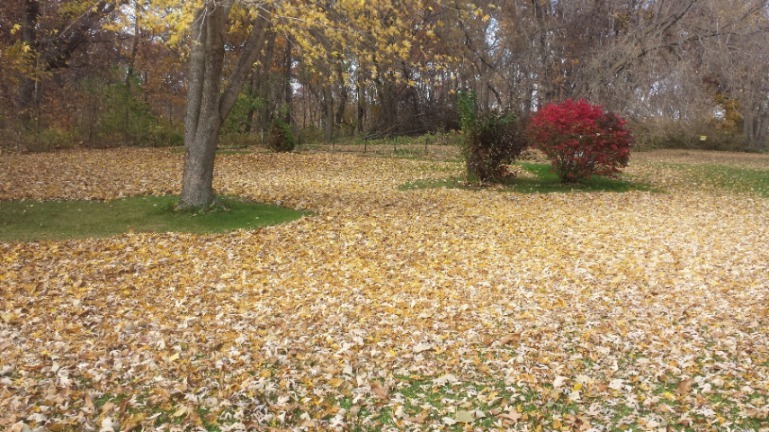 - Avoid walking across saturated lawns and garden beds. - Before buds break, but when temperatures remain above 40°F, spray trees with dormant oil for overwintering insects and scale. - Prepare new planting beds if soil is dry. - Fertilize trees and shrubs before new growth appears. - Prune summer-flowering shrubs before new growth begins in spring - butterfly bush, hydrangea, beautyberry, and snowberry. - As temperature warms, remove winter protective covering from plants. - Replenish mulch around existing plants to a depth of 3 to 4 inches. - Weather permitting, dig and move trees and shrubs prior to bud break. This gardening calendars provide you with a list of all the important tasks, maintenance and projects that should be done in your garden during each given month. 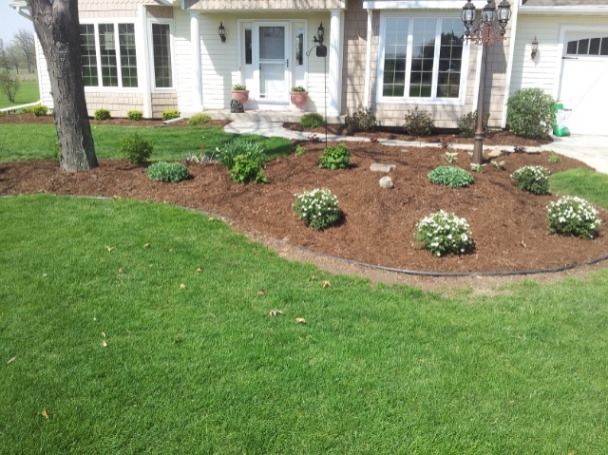 AMS Lawn and Landscapes can help you with any of these tasks. Give us a call at 608-807-3320 or Contact Us to set up a time to meet and discuss your lawn care needs. - Watch for insects and diseases that gave you problems last year. - Control apple scab on crabapple with a fungicide just as leaf buds begin to open. - Avoid pruning oaks and elms between mid-April and October. - Divide and move perennials every three years to prevent them from overcrowding. - Deadhead spring bulbs when they are finished flowering to direct energy back into bulbs. - Plant a tree in celebration of Arbor Day! - Begin planting trees, shrubs, and perennials now. - Divide and transplant perennials after they flower. - Plant annuals after all danger of frost has past - Average date is May 15. - Prune spring flowering trees and shrubs immediately after blooming - Crabapple, forsythia, lilac, viburnum. - Stake tall and floppy perennials (peonies, delphiniums) as they grow. - Monitor all plants regularly for insect and disease problems.